Weight Gurus Digital Bathroom Scale with Large Backlit LCD and Smartphone Tracking Just $19.99! You are here: Home / Great Deals / Amazon Deals / Weight Gurus Digital Bathroom Scale with Large Backlit LCD and Smartphone Tracking Just $19.99! Are you in need a new bathroom scale? 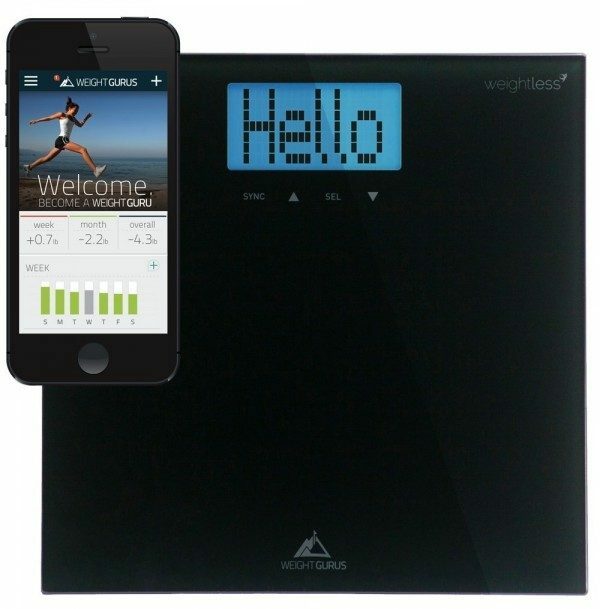 Get the Weight Gurus Digital Bathroom Scale with Large Backlit LCD and Smartphone Tracking (Black) for just $19.99 when you enter promo code WGURUS04 at checkout. Shipping will be FREE with an order of $35 or more or Amazon Prime. Auto Step-on (turns on automatically when weighing). Auto Off. Auto calibration. Auto user detect (important for multi-user homes – e.g. husband/wife). Supports up to 8 users. Non-slip, scratch resistant feet. 4 ultra-precision weighing sensors. 400lb capacity. +/- .1 lb resolution. Durable tempered glass construction. Large weighing platform (150 sq inches). Extra Large, Backlit LCD (4.3″). Kg / Lbs. 4 AAA batteries included.